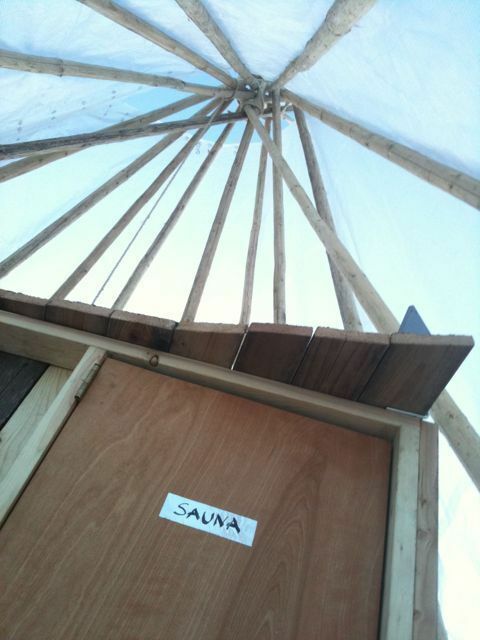 The tipi poles arrived on Monday. 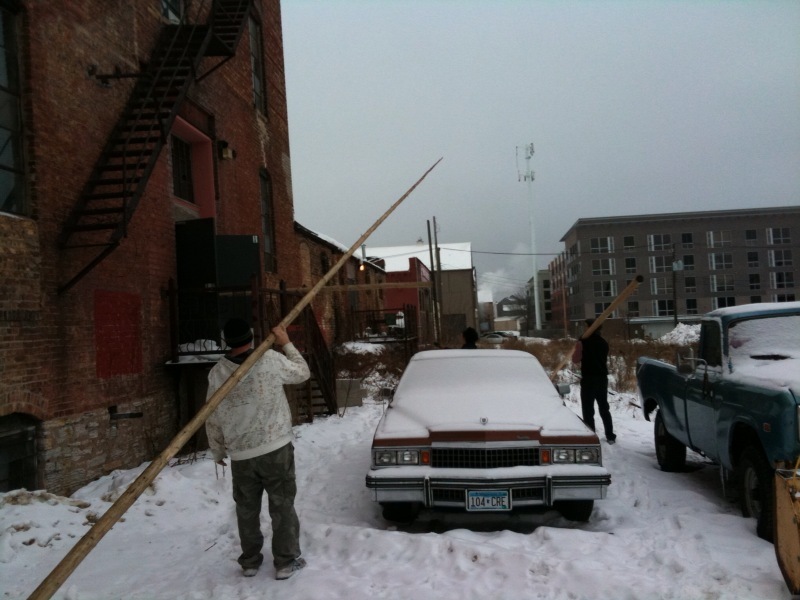 Two young men drove them on a hitch all the way from Wisconsin to Minneapolis. 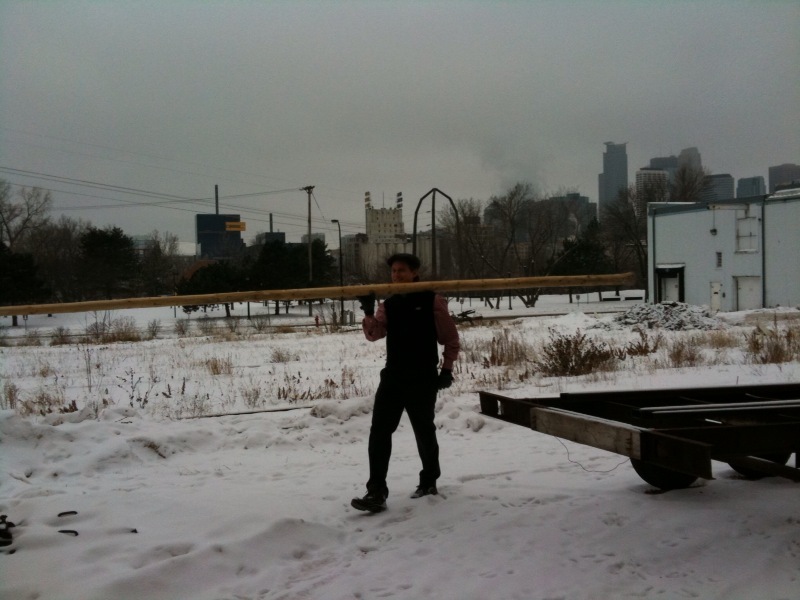 These twenty four 30-foot poles were generously lent to us by Noisy Creek Tipi Poles. 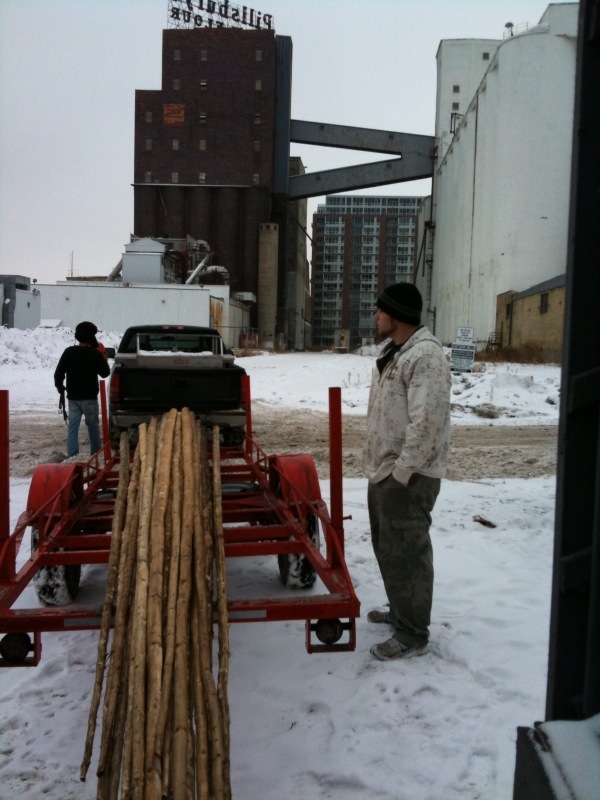 Twenty four long, straight, skinny, trees that will make the bones of our tipi. 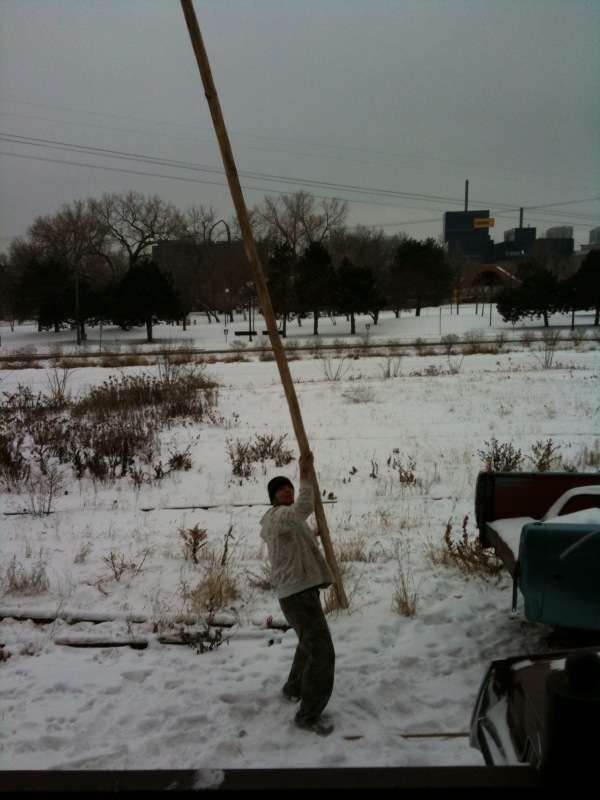 Thirty feet of the real thing. 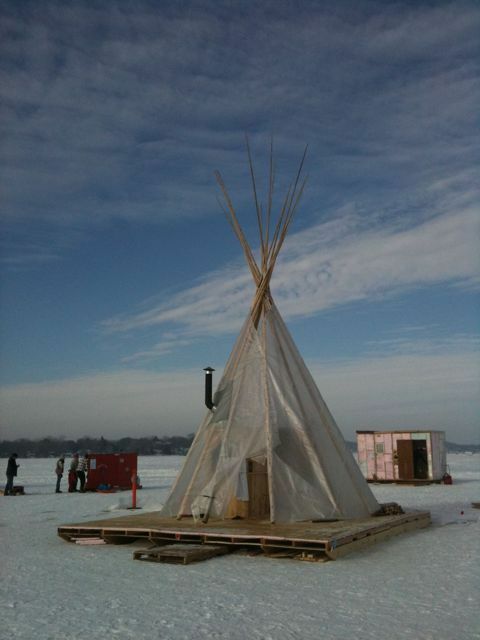 Some of you are having trouble visualizing our tipi. 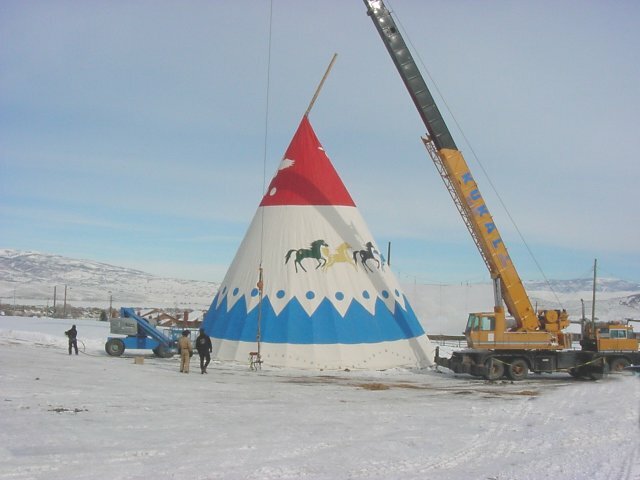 Here are some stats for the world’s largest tipi from the Red Hawk Trading site. 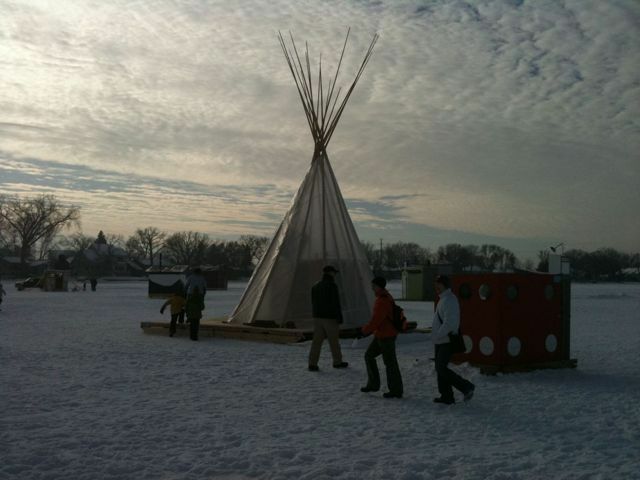 Our tipi is only 22′ in diameter. Planned stats for the Black Bania follow. 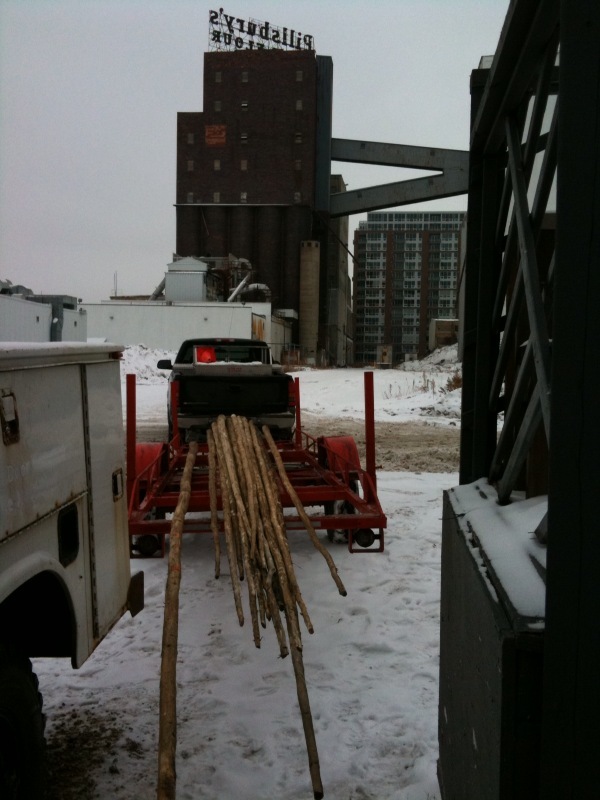 We won’t need a crane to erect ours. 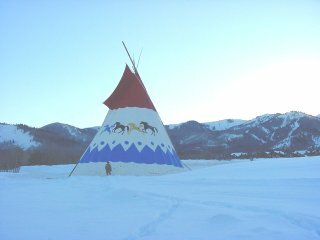 The world’s largest teepee was commissioned for use during the Salt Lake City 2002 Winter Olympics. 52′ 7in up the back. Circumference around the base is 165′. The floor area is 2166 square feet. 675 sq yards of canvas were used. 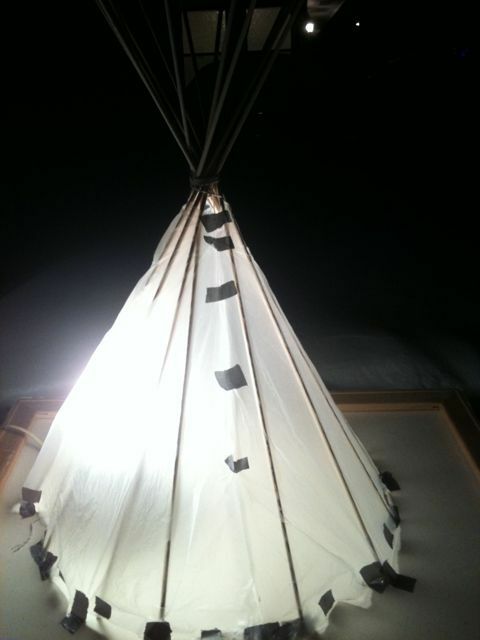 The teepee is done in authentic style which includes tilt back which makes the base oval. 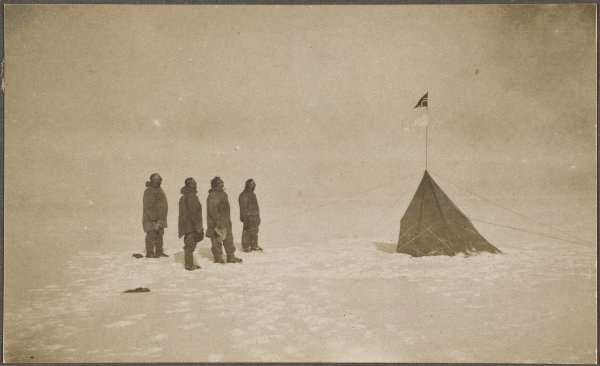 Circumference around the base is 69′. 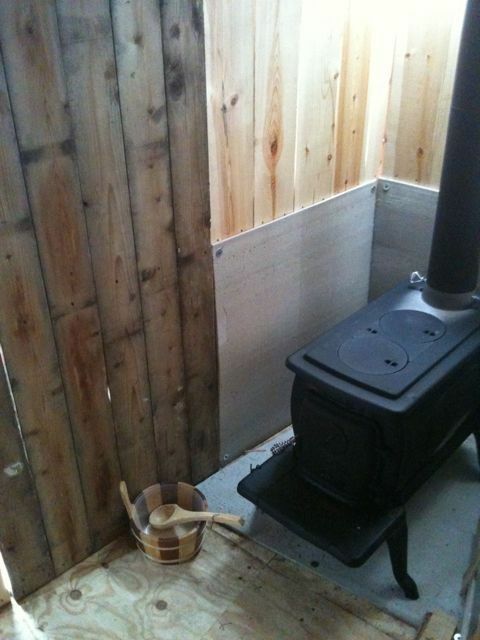 The floor area is 380 square feet. 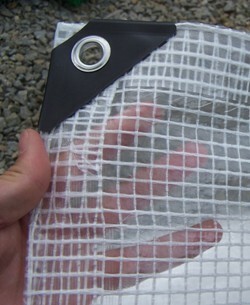 1500 square feet of clear tarp will be used.